Hi friends! One of our favorite songs around the Ten June household is Matt Redman's "10,000 Reasons." It's such an inspirational song- even little HDawg loves it as one of his bedtime lullabies. One of my favorite parts of the song is this positive verse, which reminds me that no matter what kind of day I have, I need to remember that I am blessed at the end of each day. God is good, that's for sure. I was playing around with some new fonts and decided to whip up this quick printable with my favorite lyrics. And I'd love to share with all of you! Feel free to take the printable for yourself, but please play nice and use it for personal use only. Or share it on your own blog (I'd appreciate a credit!)... who knows who it will inspire. Psst! You can learn more about Matt Redman and his inspiring music here! Never heard of it! I'll have to youtube it! It's a good one! The YouTube link is in the post above : ) Enjoy! Seriously one of my FAVORITE songs!! Singing it now! haha. This is a great song! Love the words and the reminder of how much God blesses us every day! WHat sweet words! Thanks for sharing, Michelle! What an adorable printable and such an inspiration. Thanks for sharing, Michelle. I love this blog! Amen sista! Love this song and love you and your heart. God is so good, even when life is draining and rough. Thank you God for your mercy each morning!! I really love this, Michelle. So beautiful! One of my faves! God is good! Matt Redman is amazing!! I saw him live at passion 2013 and he is incredible!!! Oh my goodness! I must listen to this song once a day :o) The Lord is so good! Have you heard Chris Tomlin's new"er" song "Angel Armies." Amazing. 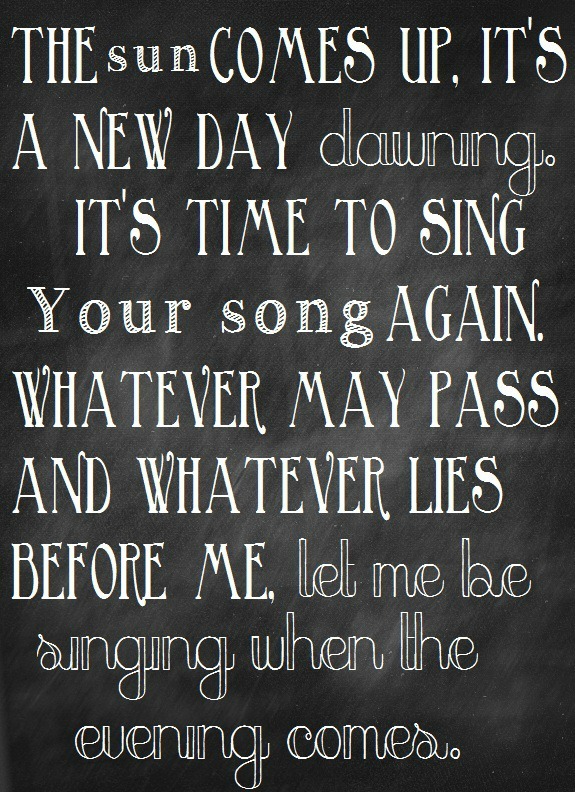 I love anything Chris Tomlin sings! One of my very favorite songs!! Thank you! !